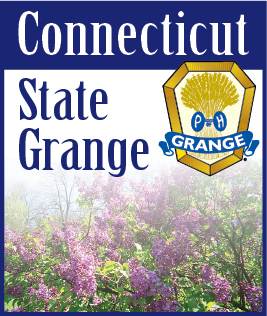 Have you submitted your resolutions to the State Grange yet? The deadline for submitting resolutions for the 2015 session is September 15th. It is not too late to send a resolution in. We have had many discussions this last year on possible resolutions. Remember tolls? The Governor is looking for additional ways to fund our transportation infrastructure. One of his proposals was adding tolls back to our highways. Tolls will probably appear again in future budget proposals. If tolls can be done with minimal impact to the drivers using new technology, would that be acceptable? We would need to see what type of technology the states around us use for collecting these tolls. It would not be good for CT to have a different system than our neighboring states. What are your feelings on tolls? Should we have tolls at all? What about the Governor taking monies out of the Community Investment Act (CIA) to fill in the General Funds. The CIA funds support farmland preservation, restoration of historic buildings, support affordable housing and many agricultural projects. Not all of the funding was taken this time but it may be looked at again in the future. How do you feel about that? This year there was a large data breach in Anthem Health Care which affected many Connecticut residents. Do you have any thoughts on protecting the public from these data breaches? What about other identify protection issues? One of the mailings that I recently received from one of my local legislators mentions three upcoming bills for the 2016 Legislative Session. One is SB 1042 requiring insurance companies, health providers and pharmacies to encrypt personal data. The second bill is SB 589 which would require companies to notify you if your personal information has been compromised. The third bill would waive the fees for credit reporting agencies if you are a victim of identity theft and need to freeze your credit. A bill was presented last year that would exempt the value of lands under the 490 farm and agricultural land use program from being included in the person’s estate in calculating the amount of inheritance tax that the survivors must pay. It died in committee last year but may be seen in the future. The legislature also looked at expanding the bottle bill to include beverage such as iced tea and sports drinks. Should that be expanded? Do we need to bottle bill anymore? Now that communities are required to recycle is there a need for the bottle bill? We could reduce the costs to consumers of beverages by removing deposit costs. The state may not like it as they would no longer get the windfall from the unclaimed deposits. These are just a few items that may appear in the coming year’s legislative session.